When you become a Proven Winners Certified Garden Center, you'll be the first to hear Proven Winners news and you’ll have the opportunity to become an active voice among retailers in the Proven Winners network. Your garden center will be given active priority listing in your local area on the Proven Winners website. Most importantly, you’ll have a trained, knowledgeable staff that can assist your customers and increase your sales. Did we mention that it's totally FREE? 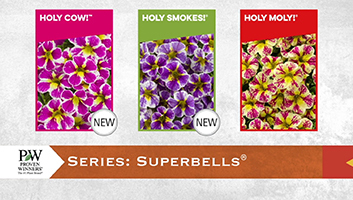 It's our way of saying thanks for choosing to carry Proven Winners plants. It's also a chance to show we're serious about helping you grow your garden center. they'll need to sell, sell, sell! 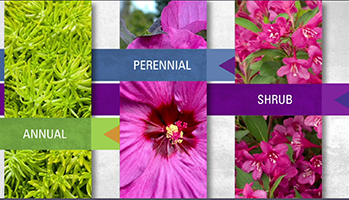 The greatest benefit of becoming certified is that you’ll have a more confident staff that is well-trained in the characteristics, growth habits, care requirements, and new varieties of Proven Winners annuals, perennials, and shrubs. 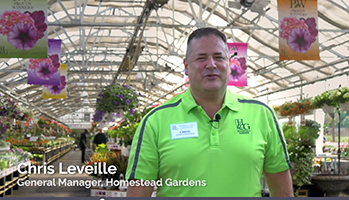 Your employees will learn how to take full advantage of Proven Winners merchandising and marketing support in ways that will not only increase sales of Proven Winners plants but can establish your garden center as the resource for local gardening expertise in your area. Following certification, your garden center will automatically be listed on the Proven Winners website for consumers who visit our site from your local area. That results in great visibility for your garden center since millions of customers visit our website every year. You will also be invited to display the Proven Winners Certified Garden Center logo on your own website and at your garden center so customers can easily identify your expertise with Proven Winners plants. That expertise earns the trust of your customers, from the beginning gardener to the passionate enthusiast. Your garden center will remain grayed out on our website until certification is complete. As a Proven Winners Certified Garden Center, you will have access to tools such as our photo library, newsletters, and other marketing updates. You will be among the first to hear about new initiatives and will have the opportunity to be an active voice in the Proven Winners network. Want to really get your employees excited for spring? Become certified by May 1st and Proven Winners will throw a FREE pizza party! That's right, every garden center that certifies by the deadline will get a free pizza lunch for all your newly certified employees. In addition to free pizza, we’ll send you a free reward of your choice for every certified employee. Choose from a Proven Winners T-shirt or a $6 credit per certified employee to be used at the Proven Winners online store, redeemable for point of purchase materials (P.O.P). Garden centers who train at least 10 employees and chose the POP Credit will be eligible to spend their P.O.P. credits towards Gardener's Idea Books. 100 books per case plus a free poster ($100 value). 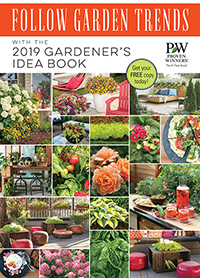 If you'd like to take advantage of this special offer, call Sandy at 815.895.1872 or email sandy@provenwinners.com before your POP coupon expires on June 30, 2019.